Most of us start the school year with the best of intentions. Lunch boxes are filled with hearty sandwiches and healthy snacks every morning—with time to spare before the school day begins. But as time goes on, kids are harder to wake, mornings are more rushed, and we may skip the packed lunch in favor of school-provided chicken nuggets. Prepping lunch for the week at home not only cuts down on weekday morning stress, it’s also a great way to make sure everyone is eating quality, healthy ingredients that help them feel full and ready to tackle the school day. Lunch prep is a habit that needs to be developed—and it may take some time for you to get into the routine of it. Before jumping right in, think about what works for you and your family specifically. For many, Sundays are a great day for meal prep because it doesn’t cut into fun Saturday plans, and your meals will remain fresh throughout the work week. But if that doesn’t fit in with your schedule, adjust as needed. Remember, the goal is to make your life easier! Bonus tip: If you grocery shop on a day other than meal prep day, it can be a challenge to keep little hands off of designated ingredients. If your planned meal contains items you know will tempt your family, get a few extra to keep separate—and hide away everything you need for prep in a different drawer or stored in a bag. What day is easiest for me to find a couple hours of free time for meal prep? When should I go grocery shopping so ingredients don’t get old waiting in the fridge? What fresh items will still taste great after a few days? What meals will I be preparing this week? If your initial plan doesn’t work out, tweak to suit your lifestyle—there are no hard and fast rules. Lunch prep is a fantastic way to minimize waste by planning around items that don’t fit your other meal plans. Have a few leftover chicken breasts that need to be cooked but aren’t quite enough for dinner? Make a large batch of healthy chicken salad for wraps, throw it in a quiche, or roast and slice for tasty sandwiches. Got a few odd bits of cheese left? That’s a great school snack or side for a lunch. Fresh vegetables that are no longer pristine enough to eat raw can be revived into a tasty side through roasting. A quick perusal of the nooks, crannies, and drawers of your fridge is a great way to uncover both potential ingredients and items that need to “pass over” to make room for new groceries. Preparing entirely unique recipes for the adults and children of the house can add a ton of extra time and effort to your meal prep routine. 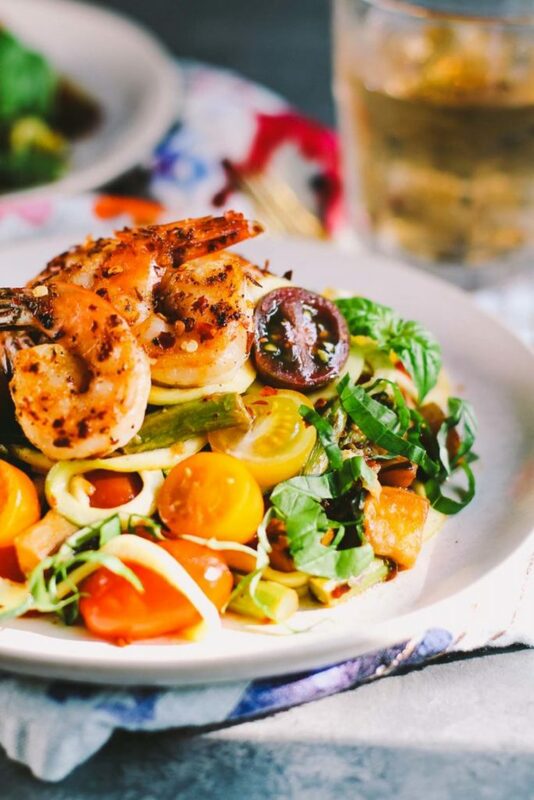 Rather than trying to cater to each individual palate, focus on recipes that are a sure win everyone or that can be tweaked slightly to accommodate the kids and grownups alike. For example, while your youngest may be disinterested in the strawberry and spinach salad you’ve been wanting to have for your own lunch, they may be up for dishes that utilize some of the same ingredients (such as that yummy chicken salad from above wrapped in spinach leaves, with a side cup of strawberries). Bonus tip: Master the art of multitasking! You can bake breakfast muffins, kid-approved zucchini tots, or roasted veggies at the same time to cut down on overall cook time—all while dicing, slicing, and prepping other raw ingredients. You may have access to a microwave at the office, but it’s important to craft dishes that remain tasty when cold for the kiddos. For instance, a side of reheated roasted sweet potatoes for you might need to be adapted into a cold potato salad for the kids. Pasta salad doesn’t have to be the weird, congealed mayonnaise-filled atrocity you remember from childhood BBQs. Keep the kids happy and treat yourself with a healthy caprese pasta salad on the side or a full-meal chicken pasta salad. Quality deli meat is the perfect base for a great kid-friendly sandwich or wrap, while adults will find that thinly sliced turkey breast can add some oomph to a salad or spice up mini frittatas (which are also a great way to hide veggies for picky kids, but more on that later!). Your kids will go crazy for a DIY pizza “Lunchable” (with less fat and salt than the storebought variety) while the same ingredients can be added to a bed of greens and topped with a flavorful vinaigrette to create a bold Italian salad for you. Have a picky kid? You’re not alone! While Instagram photos of kindergarten lunchboxes filled with a rainbow of vegetables may have you questioning your parenting, most kids have strong opinions on at least a few food items. If those happen to be some of your favorite ingredients, it can be frustrating to plan around—but a little creativity can go a long way. Bonus tip: you can meal prep breakfast, too! Make mornings a cinch by pre-preparing and freezing protein-filled breakfast wraps, overnight oats, or healthy sheet pancakes. Unless your child has a sensitivity or very strong dislike of a particularly item, hiding veggies in their favorite foods is easier than you think. To up their vegetable intake without cluing them in, start with vegetables that don’t have a strong natural flavor or that absorb the flavors around them, like shredded zucchini. You can also puree different greens into sauces to bulk up their nutritional value and their taste. There is also no shame in taking advantage of the good-for-you foods they do like. Have a lover of carrots who won’t voluntarily touch another vegetable? Use carrots to create a sweet treat that is miles healthier than sugar-packed alternatives—and sneak some additional goodies in with it. If your child’s pickiness has more to do with appearance than taste, take a little extra time to spice things up visually. 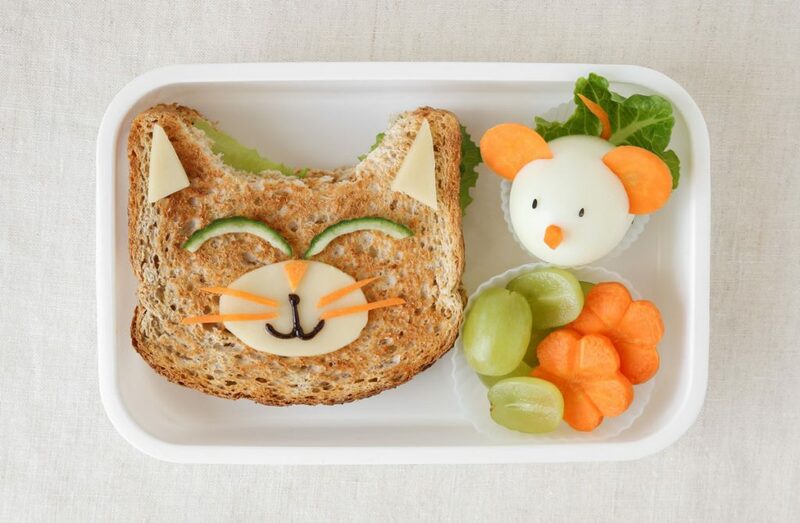 Use cookie cutters to change the shape of sandwiches or fruit, place “eyes” on vegetables, make a little landscape out of a salad, or throw in a fun note or sticker. Variety is the spice of life, but can be difficult when prepping for a full week. Instead of trying to tackle a different dish or bagged lunch for every day, make small variations in flavor and side dishes. Divvy up cubed chicken breasts on a baking pan with a rainbow of veggies and use different flavor profiles to give the same basic ingredients a new life every day. Have sandwich ingredients but don’t want a sandwich? Replace bread with alternatives like hollowed out cucumber, crunchy lettuce leaves, or flavored wraps. The same garden salad or pasta salad can be entirely transformed by using a different dressing. Check out this visual guide to homemade salad dressings for tips, tricks, and ideas. Pinwheel sandwiches are easy, but can get boring quickly. Fill them with unique ingredients, such as pesto and sliced chicken, garden vegetables with greek yogurt ranch, or fresh fruit with honey and nuts. Swap out the starchy noodles that star in some of you and your kids’ favorite recipes with zucchini spirals (and indulge in some mac & cheese with a little less guilt). Bonus tip: In some schools, children who bring in peanut butter or a dish featuring peanuts will have to sit separately to keep fellow students who may have allergies safe. Give other butters a try or attempt an allergy-free alternative if you have a resident PB-lover. Kindergarteners and first graders can help chop soft foods with a plastic or butter knife, peel hard-boiled eggs, spread sauces or jams, mix dressings or spice mixes, and help clean up when cooking is done. Older elementary school kids between ages 7 – 10 can start tackling more complicated tasks and safely use a variety of kitchen tools under supervision. Try having them help cut fruit and veggies using a very small paring knife, help you monitor the stovetop, grate cheese, or even use a hand mixer. Middle schoolers can help place and remove dishes from the oven, fry food on the stovetop, trim or grate vegetables, and arrange dishes. Have them help label containers and place in the fridge for easy grabbing. Teenagers can begin taking over more and more of the tasks independently, such as safely handling and cleaning knives, honing their chopping skills, and using specialty kitchen devices. Before involving the kids, make sure everyone is up to speed on what tasks they’ll be doing and how to do them safely and cleanly. Bonus tip: everyone deserves a treat sometimes, so don’t feel like a failure if a pack of gummies or cookies is part of your kid’s lunchbox or if meal prep just isn’t going to happen one week. A huge list of recipes for meal prepping for kids. One month of kid-friendly lunch ideas from celebrity chefs. This awesome list of 40 great ideas for hiding veggies in your child’s favorite dish. The Pinterest feed for school lunch prep, including tons of visuals to get you started. 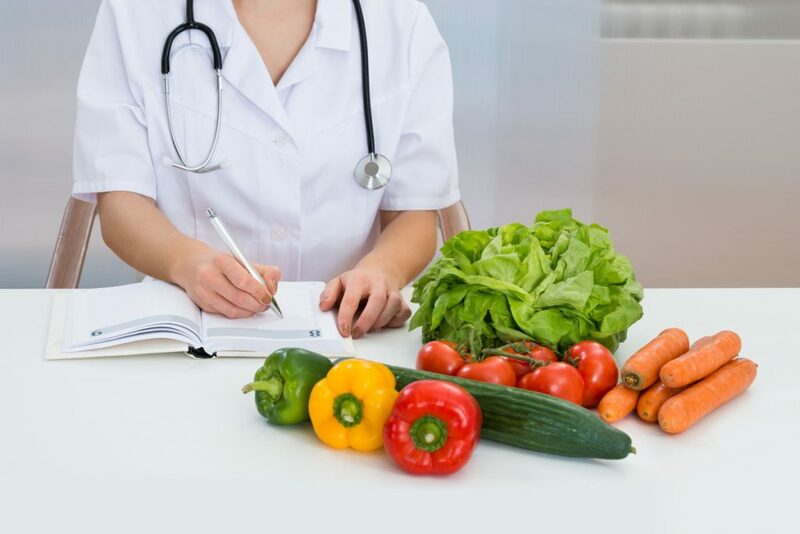 As parents and weight loss surgeons, we’re always looking for healthy options for ourselves, our families, and our patients—and we hope our recommendations can help make your life easier and keep your family’s tummies full! Our weight loss surgeons, Dr. Bobby Bhasker Rao and Dr. Irene Tower, have spent years helping patients lose excess weight through proven bariatric surgery techniques. Located in Rancho Cucamonga, our state-of-the-art surgery center was designed with patient comfort and safety in mind. If you have been hoping to make a positive change in your health and wellbeing, our experienced team would love to discuss your options with you during a private consultation. Contact us today to get started.